Alicia is a social worker in independent practice, providing services to struggling adolescents and their families. One of her clients was referred by a local school. According to school personnel, the student was sullen, withdrawn, and experiencing significant academic problems. The school’s vice principal told the social worker that the student was very upset because her mother was recently sentenced to prison for drug dealing and her father was having serious psychiatric problems. Based on the strict criteria in the Diagnostic and Statistical Manual of Mental Disorders, the teen’s clinical symptoms were not serious enough to qualify for coverage by the state’s Medicaid program, which provided health coverage to the family. To qualify for mental health benefits, Alicia would need to exaggerate the student’s clinical symptoms. Social workers are obligated to avoid any knowingly dishonest, fraudulent, or deceptive activities. Such activities not only undermine social workers’ individual reputations and credibility, but they also harm the entire profession’s reputation and integrity. It is vitally important for practitioners’ colleagues and the general public to have confidence in social workers’ veracity and trustworthiness. The reality, however, is that instances arise in social work when practitioners may be tempted to shade the truth to some degree. Dishonest, fraudulent, and deceptive activities in social work can take several forms. As in the case example, a social worker may feel some pressure to exaggerate a client’s clinical symptoms, particularly when such deception may seem necessary to enable a vulnerable client to receive services. Social workers certainly understand that, in principle, accurate documentation is essential to identify, describe, and assess clients’ needs; define the purposes of services and interventions; record services provided, goals, plans, activities, and progress; provide proper supervision; and evaluate the effectiveness of services and interventions. Practitioners also understand that they should not falsify records or document inaccurate information. However, despite this understanding, some social workers may still feel compelled to falsify their documentation. Deception in social work can take other forms as well. Some social workers may make exaggerated and misleading claims of effectiveness. In one case, a social worker at a residential school for struggling teens was involved in publicizing a deceptive claim that more than 90% of the students’ parents said that they would recommend the school to other parents, and almost 80% of the school’s graduates are college students. The claim was misleading because the results were based on a limited and quite likely biased sample that only included those parents who chose to return the survey (about 35% of the total number who had received the survey). It is possible that parents who felt more positively about the school were more likely to return the survey. In addition, the survey did not include parents who may have been dissatisfied with the school and withdrew their children prior to graduation. A similar bias could be reflected in the school’s claims about its graduates’ college enrollments. Further, the school claimed a high percentage of college enrollments even though the survey only asked about college acceptances. In another case, a social worker in independent practice made irresponsible claims about the effectiveness of a controversial form of therapy. 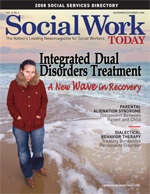 The social worker’s brochure and Web site did not cite credible empirical evidence of effectiveness based on peer-reviewed, published studies using widely respected research methodology (e.g., use of representative samples, valid and reliable outcome measures and indicators, and control groups that enabled researchers to rule out extraneous factors accounting for the positive results). Instead, the social worker’s brochure and Web site made only broad, unsubstantiated claims that may have unduly influenced vulnerable potential clients. Clearly, deception in social work can be motivated by diverse factors. In many instances, social workers are earnest about helping vulnerable clients who otherwise may not receive the assistance they need. In addition, social workers may conclude that some forms of deception are justifiable because of seemingly unjust regulations or laws that limit clients’ access to services or violate their rights. Occasionally, social workers’ deception may be self-serving, such as when it is designed to increase the number of clients who seek their services and enhance their income. It is certainly understandable that a social worker may want to bend the rules to help a client qualify for services. However, such fraud is problematic in two respects. First, the social worker may inadvertently convey to the client that fraud is acceptable; this is poor role modeling and can undermine clients’ efforts to address integrity and other moral issues in their own lives. Many clients struggle with honesty in their personal and workplace relationships. Communicating to clients that dishonesty is permissible could undermine their efforts to be truthful in their various relationships with others. Second, such deception exposes social workers to potential fraud allegations, litigation, and ethics complaints. Social workers who engage in deception could be named in lawsuits filed by insurance companies that seek reimbursement for payments arising from fraudulent claims. Practitioners who falsify documents could also be criminally charged if their actions violate criminal code statutes related to fraud. Moreover, disgruntled clients or third parties could file complaints against dishonest social workers with a state licensing board or a professional organization, such as the National Association of Social Workers (NASW). As the NASW Code of Ethics states, “Social workers should not participate in, condone, or be associated with dishonesty, fraud, or deception” (standard 4.04). Social workers’ use of deception in any form can place their foot on the proverbial slippery slope. Modest, superficial, or incremental forms of deception sometimes evolve into deeper, more pervasive, and persistent forms of deception. Invariably, such deception becomes quite toxic and harmful—to clients, social workers, the social work profession and, in the end, the broader community. The bottom line is that, in general, social workers’ decision to be dishonest or deceptive in any form is risky business.